Corvus – Pre-emergence corn herbicide provides consistent, broad-spectrum grass and broadleaf weed control for a full season at just 5.6 fl. oz. per acre. Corvus delivers rapid burndown, long-lasting residual, and reactivation for dependable weed control in field corn and corn grown for silage. Capreno® – Capreno postemergence corn herbicide delivers season-long control of more than 65 grass and broadleaf weeds, including those resistant to glyphosate, PPO, ALS, dicamba, and triazine chemistries. A suspension concentrate with 3.45 lb. Al per gallon, Capreno combines multiple modes of action with highly effective safener for complete weed control in field corn and corn grown for grain or silage. Capreno is strong enough to achieve one-pass weed control or flexible enough to fit into a two-pass program. Liberty – This herbicide is a powerful weed control option for all LibertyLink® system crops. It exposes weeds to different chemistry and a unique mode of action—group 10 SOA. Liberty is the only nonselective alternative to glyphosate. It’s capable of torching the most resistant weeds, like Palmer amaranth and waterhemp, along with 120 more common invaders. Armezon® – With a low use rate and a unique chemistry, Armezon gives high-yielding corn growers a very flexible post-emergence solution. A great tank-mix partner, it’s tough on broadleaf weeds and grasses, like common lambsquarters, waterhemp, giant foxtail, and crabgrass, yet safe for corn. Armezon® PRO – By combining the same active ingredients found in Armezon and Outlook® herbicides, Armezon Pro takes post-emergence grass and broadleaf control to the next level, also offering residual control through canopy late in the season. It’s safe for all types of corn. Status® – Control broadleaves faster than any other herbicide with Status—it goes to work within hours. In addition to fast burn down, you also get residual control and management for the spread of glyphosate resistance. Tank mix with glyphosate for total control. Weeds controlled include lambsquarters, buckwheat, kochia, giant and common ragweed, cocklebur, pigweed species, velvetleaf, ladysthumb, nightshade, and more. 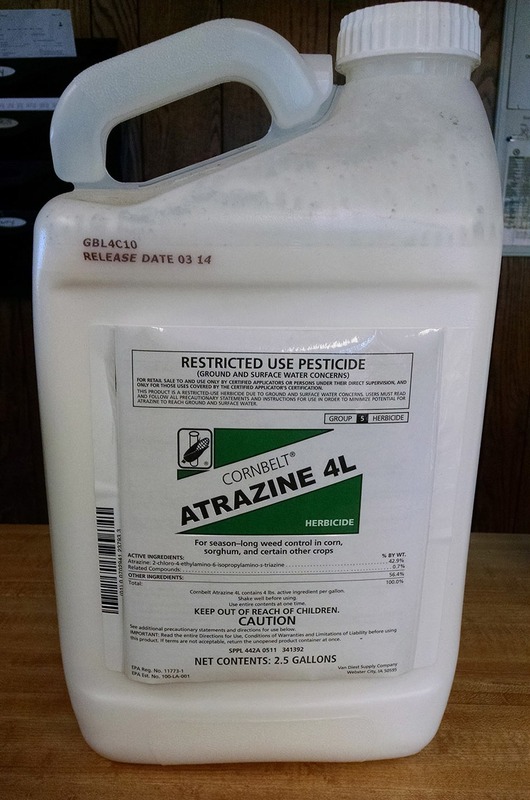 Anthem® ATZ – This product features three unique modes of action, including atrazine, to provide residual broadleaf and grass control for all corn. With an application window of 45 days preplant to V4 stage, it has the flexibility to fit into a wide range of application strategies. It is also an excellent tank-mix option. Authority® Elite – Authority Elite is a broad-spectrum grass and broadleaf control option for soybeans. This preemergence solution has two modes of action, so it offers outstanding control of resistant weeds like waterhemp and amaranthus species. It stands out from competing products with 45-60 days of residual activity. Authority® XL – Protect soybean yields with a spring application of Authority® XL. It controls marestail, waterhemp, lambsquarters, and ragweed, and that spectrum can be extended with the addition of Roundup® or 2,4D LVE. Marvel™ – Marvel is an excellent post-emergence option for soybeans that still steps up to the plate when glyphosate-resistant weeds are an issue. Offering broad-spectrum control, it targets waterhemp, Palmer amaranth (Palmer pigweed), and other critical weeds. Marvel has a low risk of carryover and a low use rate. There are also numerous effective lower-cost herbicide solutions on the market, and SOIL Service is happy to help you assess whether these are a good fit for your weed control plan. Just as with brand-name herbicides, our team stays on top of new product offerings, and our experts will help you find the right option for your weed challenges. 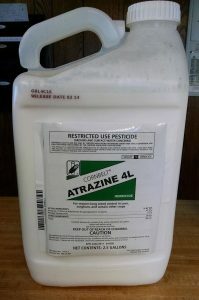 Some alternative herbicides we work with are below. Many other options are available. If you don’t see a product you are interested in listed, contact us to find out if it’s a product we offer.